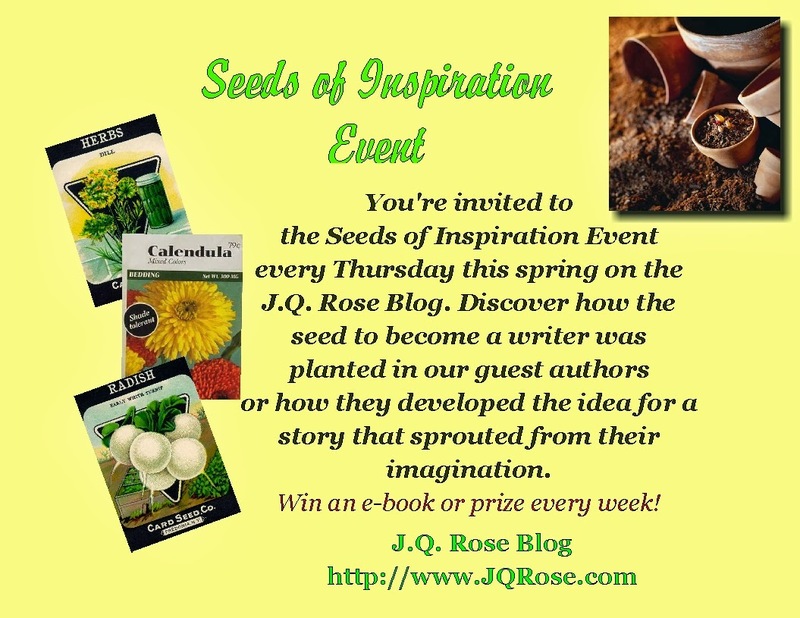 On this lovely May Day, please welcome my friend and romance author Helena Fairfax to the Seeds of Inspiration Event. Helena is graciously giving away her sweet romance, The Silk Romance, to a lucky commenter this week. Thank you, Helena. I’ve chosen as my inspiration a lady called Kaye Webb, who was editor of Puffin Books – a British imprint for children’s books – during my childhood in the sixties and seventies. When Kaye Webb took over at Puffin Books, the imprint had only 151 titles. By the end of Kaye Webb’s tenure she had brought out over a thousand more titles, including picture books and a range aimed at teenagers. She also founded the Puffin Book Club for children – of which I was a proud member, with my own badge :) – and the club is still going today. I can’t tell you how much Puffin Books meant to me as a child growing up. I still have my favourite, battered copies in a bookcase in my study. You only have to look at the covers to know that these books were filled with magical worlds that transported me far from the cares of home and school. Kaye Webb was one of the first ever editors to realise the importance of writing for children, and she made the authors she published, and their stories, into household names. There are so many Puffin Books that still stick in my mind today, it’s hard to pick out just a few. The classic Stig of the Dump, by Clive King; Watership Down, by Richard Adams; all the books by Leon Garfield and Joan Aiken, which I loved. 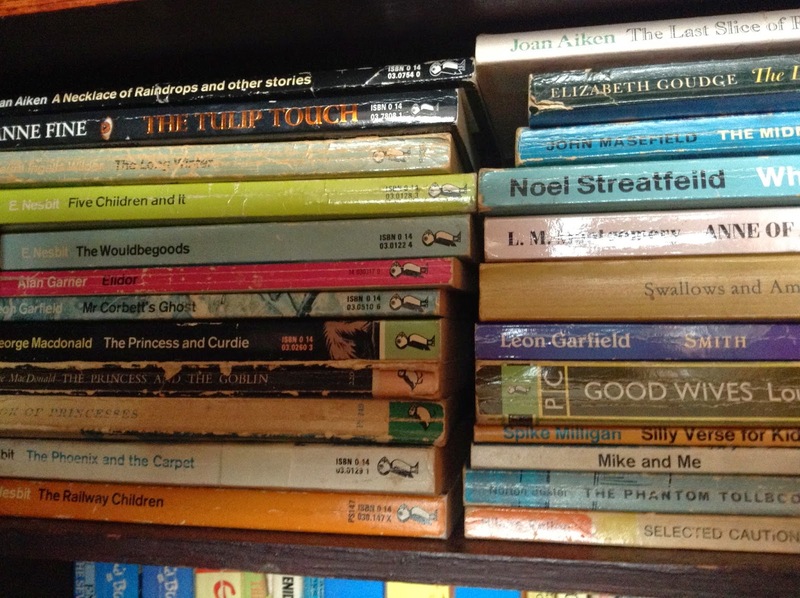 Noel Streatfield, Laura Ingalls Wilder - the list goes on and on. Puffin books are filled with adventure. They are positive stories in which compassionate people triumph, and good always overcomes evil. The stories resonate with children, because they present a world so unlike the world many of us grow up in – that is, a world in which all ends as it should. Kaye Webb was a firm believer that if more children read books, the world would be a better place. 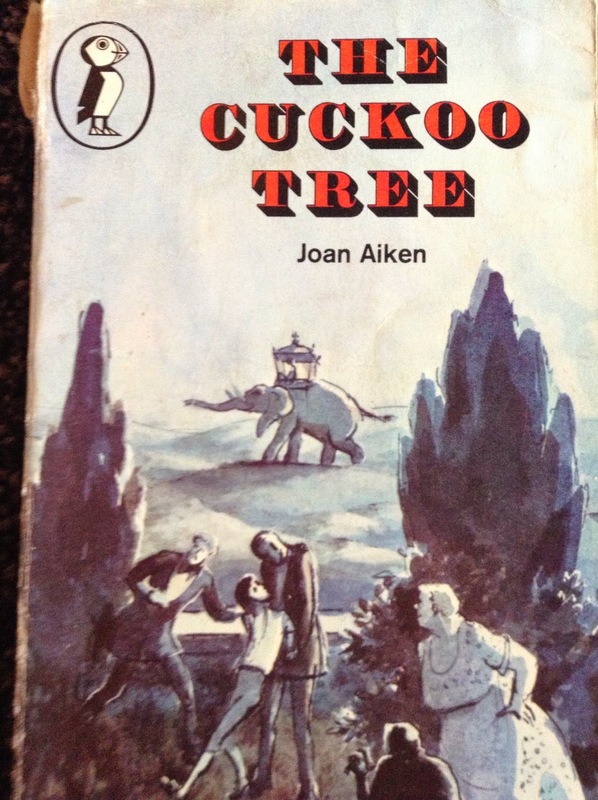 Her Puffin books were certainly the mainstay of my childhood, and reading them inspired me to become a writer. Thanks so much for having me today, JQ. It’s been so much fun going through my old Puffin books! 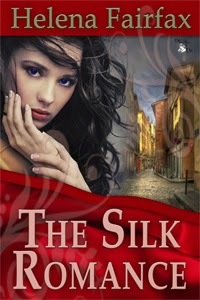 My first novel, The Silk Romance, is a contender for the Joan Hessayon Award for New Writers. The award will be presented at the Romantic Novelists’ Association Summer Party in London on 22nd May. Thrown together for a few short weeks in Lyon, the romantic city of silk, their mutual love begins to grow. But it seems the fates are conspiring against Sophie’s happiness. Jean-Luc has secrets of his own. Then, when disaster strikes at home in London, Sophie is faced with a choice—stay in this glamorous world with the man she loves or return to her family to keep the sacred promise she made her mother. Please leave a comment for a chance to win the e-book. Were you inspired by books you read as a child? What is your favorite book from your childhood? Oh, I loved Black Beauty, too, JQ! And I especially loved the film, with the young and gorgeous Elizabeth Taylor. 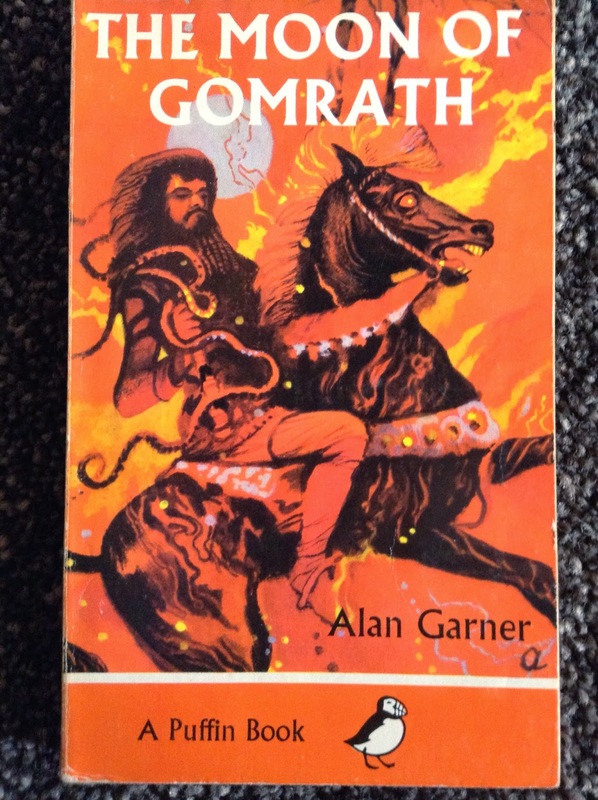 That's another book I must re-read from childhood. Thanks for reminding me! And thanks for having me today. It's really brought back how great some of these children's authors are. Great post, Helena. I remember many wonderful books from my childhood also. I have fond memories of going to the library and picking out the books I would read that week. Me too, Susan! And my own children used to love going to the library, too, and discovered many a good read there. Thanks for your comment! Hi Susan, thanks for stopping in. Everytime I walk into our beautiful library and walk out with a bag full of books for me or grandkids, I am so thankful public libraries are available to us. I still remember the "book" smell of our old Carnegie library when I was growing up. Thank you for this great post! I loved going to the library and getting books, they allowed me to escape to the world of my imagination. My favorite book from my early childhood was probably Ira Sleeps Over. I've never read Ira Sleeps Over, Matthew. I must check that one out! The title reminds me of another one of my favourites: Bread and Jam for Frances, by the great Russell Hoban. So many fab children's authors to choose from! Thanks for coming by, and for your comment! Wonderful post! It certainly looks like your Puffin Books were well-loved. No need to enter me into the giveaway as I already read (and loved!) The Silk Romance. Thanks Marsha and Heather! Marsha, my daughter totally loved Nancy Drew books, and I think we must have owned them all at some stage :) Thank you both for your lovely comments! Hey Matthew, I looked up Ira Sleeps Over and I see the author, Bernard Waber, has written other picture books I know. Sounds like Ira would be good to read to my 5 year old granddaughter. Thanks for giving us your favorite book. Hi Marsha, I know I know. Mothers always want us to be responsible and do the chores on their schedule. To get in extra reading time, I had to resort to reading at night with a flashlight. Now we have Kindles with a backlight. How cool is that! Heather B, I loved the Silk Romance too. AND the Antique Love. So romantic. Helena, I love how you shared with us the influences of your early reading. Funny that you mentioned Bread and Jam for Frances, I recall it as one of the classics on my childhood bookshelf. I do wish you lots of luck with winning the award! Thanks so much, Loren! My children loved Bread and Jam for Frances. "What I am, is tired of jam." Great illustrations, too. Glad there's someone else who remembers it from childhood :) Thanks very much for your comment, and for your best wishes! Hi LR S-Thank you for stopping by. I'm going to have to look up Bread and Jam for Fraces-my granddaughter's middle name is Frances! It's so nice to meet you, Helena. Thanks for sharing your love of your childhood books. I'm collecting for my grandchildren, so it's always wonderful to add to the collection. Best of success with your books. The cover is beautiful. Hi Joylene, So many books for our grandchildren--old and new. So much fun too. Thank you for stopping in Joylene. It's good to meet you, too! There are so many brilliant books for children these days, and one of the reasons I love Kaye Webb so much is that she opened the door for a lot of the present day children's authors. I can highly recommend any of the Puffin book imprint for your grandchildren. So happy you're collecting for the next generation. Thanks for your comment! Congratulations to LRS for winning the drawing for Helena's romance novel. Enjoy.